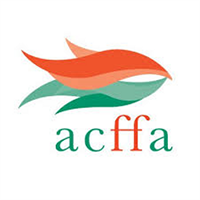 The Atlantic Canada Fish Farmers Association (ACFFA) is an industry-funded association working on behalf of the salmon farming industry in Atlantic Canada. The ACFFA represents salmon producers in addition to a wide range of supporting companies and organizations. Although the vast majority of finfish farmers grow salmon, many companies have expanded to include other finfish species such as cod, trout and arctic char as well as mussels and seaweeds from integrated multi-trophic aquaculture farms. The ACFFA, formerly known as the New Brunswick Salmon Growers’ Association (NBSGA), has represented New Brunswick salmon farmers since 1987. The ACFFA is formerly known as the New Brunswick Salmon Growers’ Association (NBSGA), which has represented New Brunswick salmon farmers since 1987. In October, 2010, the Board of Directors of the NBSGA voted unanimously to expand the organization’s focus to include Nova Scotia and to change its name to the Atlantic Canada Fish Farmers Association. To view our perspective on salmon farm development in Nova Scotia, please read our white paper entitled 'A Salmon Aquaculture Strategy for Nova Scotia.' This document articulates our vision for private invesment in salmon aquaculture as a catalyst to grow jobs, increase production and expand exports to realize the potential of a homegrown opportunity for rural Atlantic Canada. Atlantic Canada’s finfish aquaculture industry will continue to be an innovative, competitive economic sector that is globally recognized for sustainable finfish production. To provide value to our members by continuing to be a strong, regional voice on behalf of the industry and by taking a leadership role in the development and implementation of strategies that maximize growth potential, advance fish health and welfare, encourage innovation, research and environmental stewardship while increasing socio-economic benefits within our communities.